Our 361 square foot Standard Double guest room is perfect for families or groups. It comes with two double beds, flat screen with cable TV, clock radio, coffee maker, large desk, and an ergonomic work chair. Guests can also enjoy complimentary high speed Internet access in the hotel lobby. 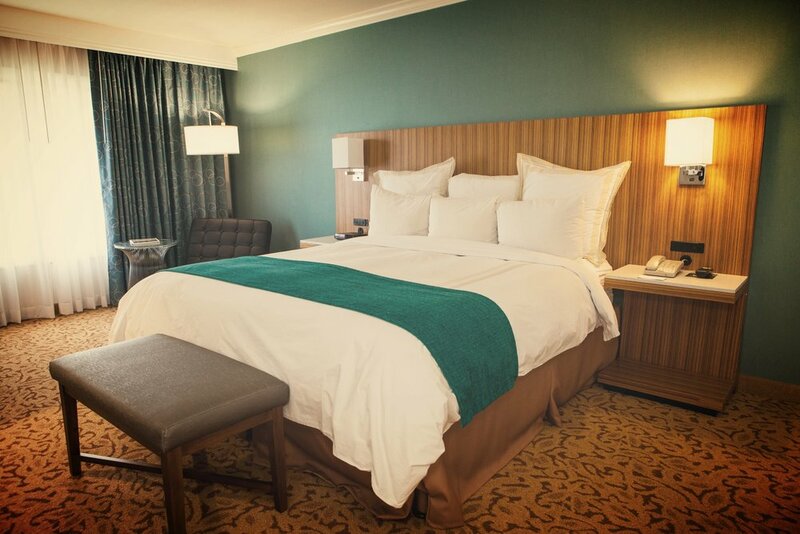 Business and leisure travelers alike will love our 361 square foot Standard King guest room. Each unit features a spacious work desk, ergonomic chair, and a flat screen with cable TV. The individual A/C unit, and coffee maker make the room feel like home. 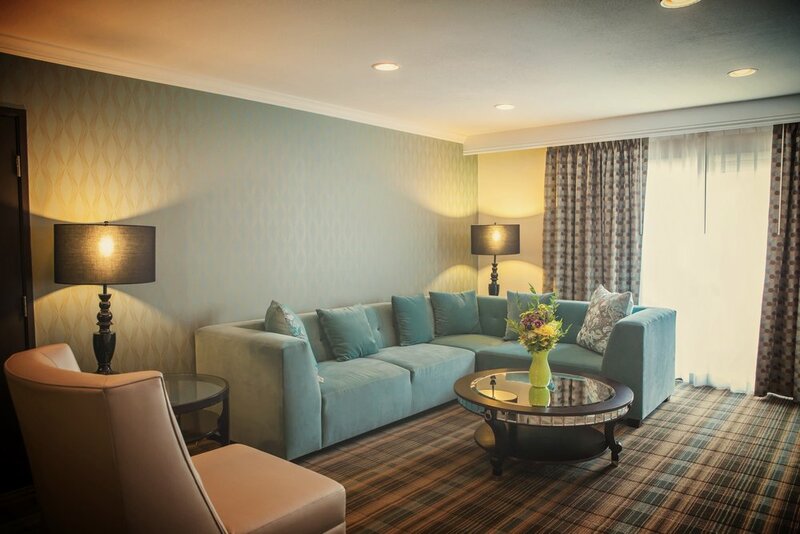 Relax in our Deluxe Suite – King and enjoy the comfortable bed and spacious floor plan. 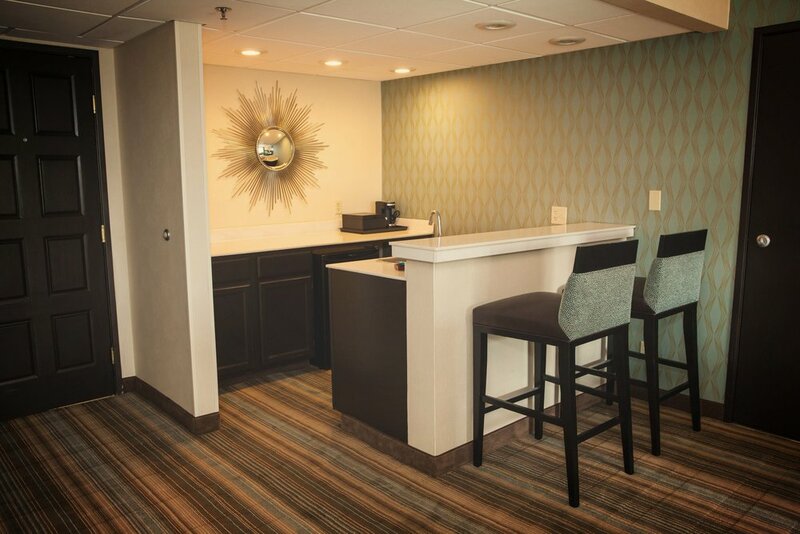 The 722 square foot unit includes a separate living and dining room with a bar, microwave, and coffee maker. Entertain your guests in the roomy seating area before retreating to the private bedroom. 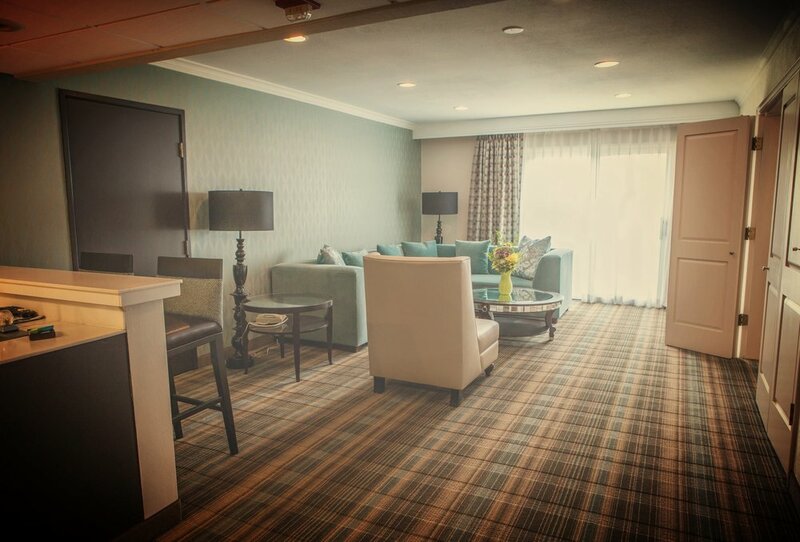 The well-appointed Presidential Suite boasts our largest floor plan and a wide collection of amenities. At 1,083 square feet, it features a private bedroom with a king bed as well as a living room with a 37" HD flat screen TV. The separate dining area includes a microwave and coffee maker. It also has a work desk, separate vanity counter, and ample closet space.